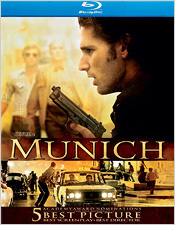 Based on a 1984 book called “Vengeance” by George Jonas, Munich tells the inside story of Operation Wrath of God, the Israeli covert operations campaign to destroy the terrorists who planned and instigated the massacre of athletes at the 1972 Munich Olympics. Eric Bana plays Avner Kaufman, the Mossad agent personally chosen by then Prime Minister Golda Meir (Lynn Cohen) to lead the team assembled to carry out the mission. Among the international actors who play that team are Daniel Craig (just a year shy of assuming the role of James Bond in Casino Royale), Ciarán Hinds, Omar Metwally, Mathieu Kassovitz, and Hanns Zischler. Geoffrey Rush adds a measure of gravitas as Avner’s Israeli handler. You may also recognize Ayelet Zurer, seen here in the role Avner’s wife, who would go on to play Lara in Man of Steel. Spielberg was apparently reluctant to take on this material at first and understandably so, given the delicacy and sensitivity of subject. But he was so compelled by the story and the research he conducted to try and ascertain the real historical facts (as best one could given the layers of secrecy), that he finally decided to make the film. Any film version of this story could easily have run off the rails, but Spielberg avoids the pitfalls first by doing his best to be accurate, but then focusing simply on telling a compelling human story, and not making judgments. He applies empathy to everyone in the story evenly, correctly believing that it’s only through empathy that one can fully understand why people would make these choices. Spielberg is also careful to show the human costs of those choices, ensuring that this film never becomes romanticized or overly sentimental. Janusz Kamiński’s cinematography is provocative, full of shadows, highlights, and subtle atmospherics. And John Williams’ score is appropriately restrained, with sparse passages that remain personal and introspective. Universal’s new Blu-ray release delivers the film in 1080p HD in its original 2.35:1 theatrical aspect ratio. Contrast is terrific, with deep, dark blacks, and bright areas that glow nicely but are never overblown. The image offers excellent fine detailing and texturing. The film’s color palate is subdued by design, both in keeping with the dramatic tone of the film and its 1970s setting. Very light print grain is visible as well, provide a satisfying and film-like viewing experience. This is as fine an HD presentation of the film as you could expect, I think. Audio options include 5.1 English and French DTS-HD MA, with subtitles in English SDH, Spanish and French. The English mix is naturalistic, with a wide front soundstage and ambient use of the surround channels. Dialogue, sound effects, and music are all cleanly rendered. All of the bonus features from Universal’s previous 2-disc DVD release have carried over here, which basically means you get the optional Introduction by Director Steven Spielberg (4:34), plus Laurent Bouzereau’s original multi-part documentary in 4x3 letterboxed/non-anamorphic SD. (That’s exactly the way it was presented on the DVD, which suggests that the material wasn’t shot natively in anamorphic.) The individual featurettes include The Mission, The Team (13:10), Memories of the Event (8:36), Portrait of an Era (13:17), The On-Set Experience (14:24), The International Cast (12:41), and Editing, Sound and Music (12:23). And that’s it. The DVD also included a softcover photo book in the packaging, which isn’t available here. Questions about Munich’s historical accuracy are almost inevitable given the film’s subject matter. That said, any such controversy does nothing to diminish the film’s even-handedness and its ultimate message, which is that while answering violence with violence often seems the best of bad options, it inevitably leads to a recursive cycle that’s difficult to break. In any case, setting all other considerations aside, Steven Spielberg’s Munich remains a good film. It’s thoughtfully made, well acted, and it’s worth your time. 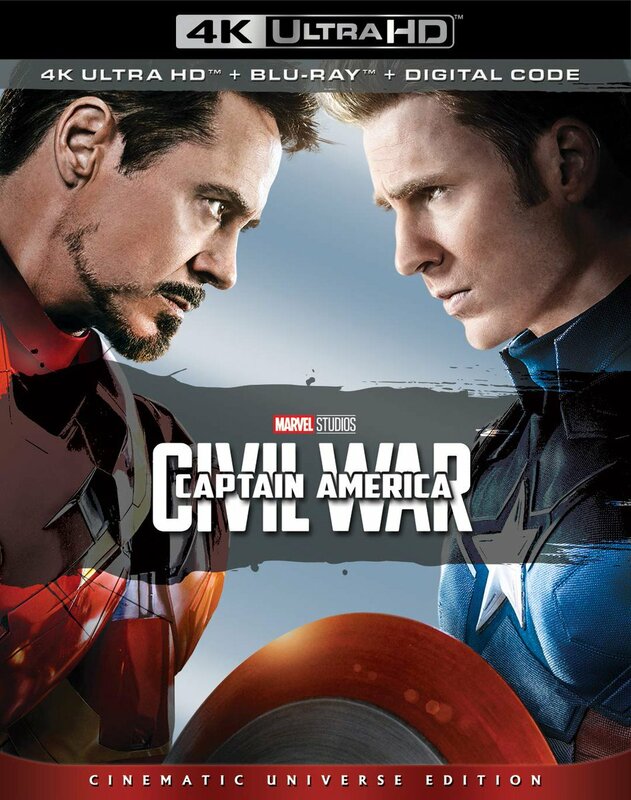 Whether you buy it now at Best Buy or wait until its wide release in May, the Blu-ray is recommended.